Easy to ride, easy to carry and easy to store. 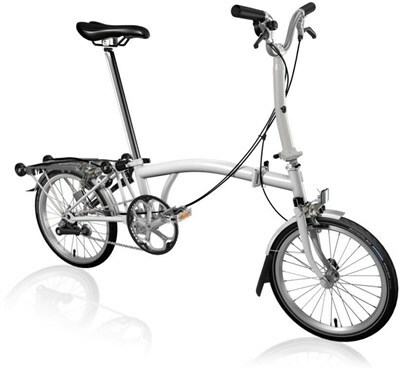 The Brompton is an iconic folding bike that is incredibly practical. This M3L version features a riser handle bar that offers a medium-upright cycling position with a 1015mm bar height. The M bar gives you that classic Brompton relaxed feel. You get 3 speeds from the internal hub gear. This set up is good for riding flat and occasionally hilly terrain. Rack mudguards and pump are included.